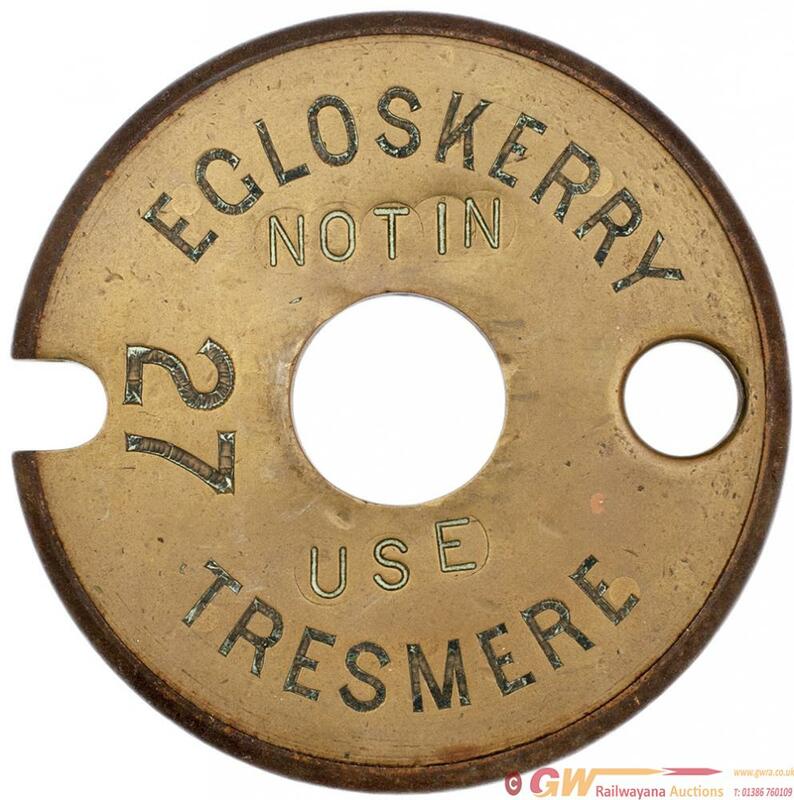 Tyers No 6 Single Line brass & steel Tablet EGLOSKERRY - TRESMERE 27. Ex London and South Western Railway Okehampton to Padstow route closed 1966. In ex railway condition and stamped Not In Use on the face.